Nice lay out offering strong colors that will catch recruiters' eye. Feel free to change the colors to make it softer, matching your personality. CV template to download "Performing"
The Performing Resume has an excellently crafted design that presents the candidate’s background and skills with utter most clarity. 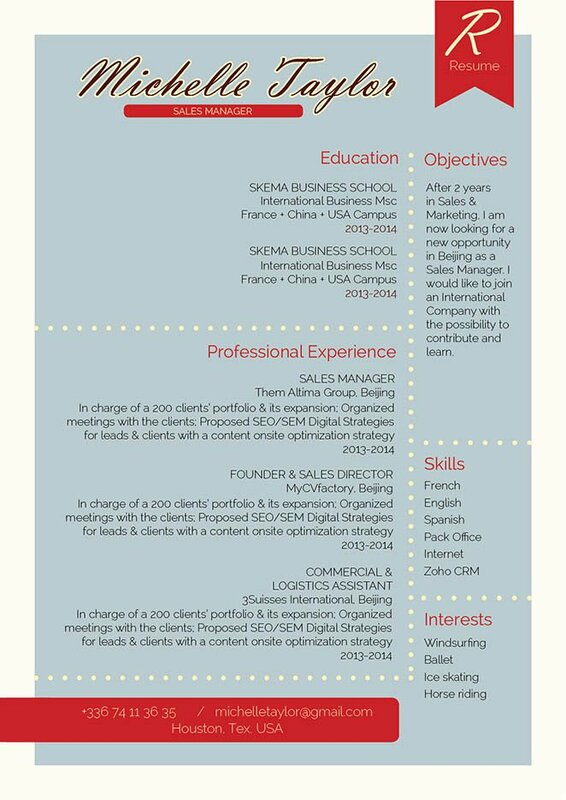 With a creative selection of colors and graphics, this CV template is eye-catching and functional! Applicants who have a solid set of qualifications will find this resume useful as it lists down all your skills and experiences in good detail. So whether you’re applying for an IT, teaching, or accounting job—this is one resume that is sure to give you a high chance of getting hired! An effective and comprehensive resume can make the difference of whether you land that job or not. That resume of yours will be your ticket to that dream job you’ve always wanted! 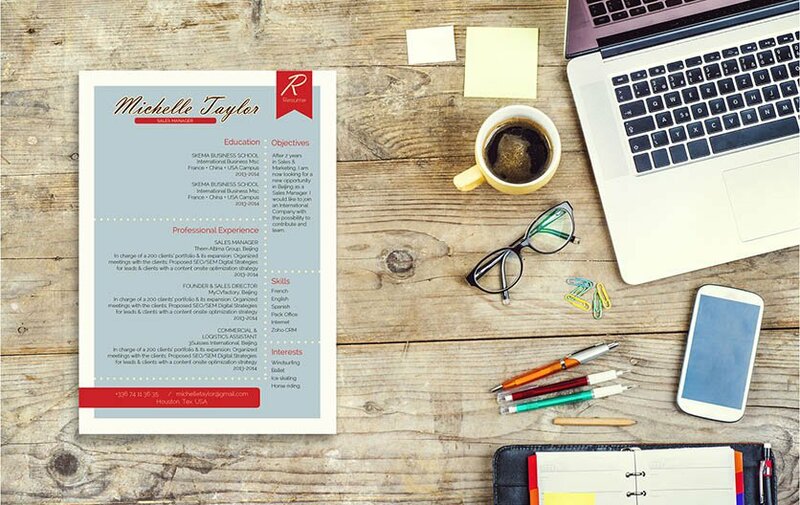 One major factor that makes a resume effective is how well-structured its layout and design is made—to achieve this, use simple, yet professional fonts such as Serif or Sans Serif, pick a font size between 11 and 12, and use italic/bold font styles to help guide the user along your resume with ease. Make good use of graphics and symbols to give emphasis on the key parts of your CV. And finally, use wide-margins, headings, and subheadings to give your resume a logical format that is easier to follow, and it will also help highlight the important points of your CV. Discover all our services: resume writing, resume audit...our team is here to help you through your job application process. Your discount has been applied to the basket.